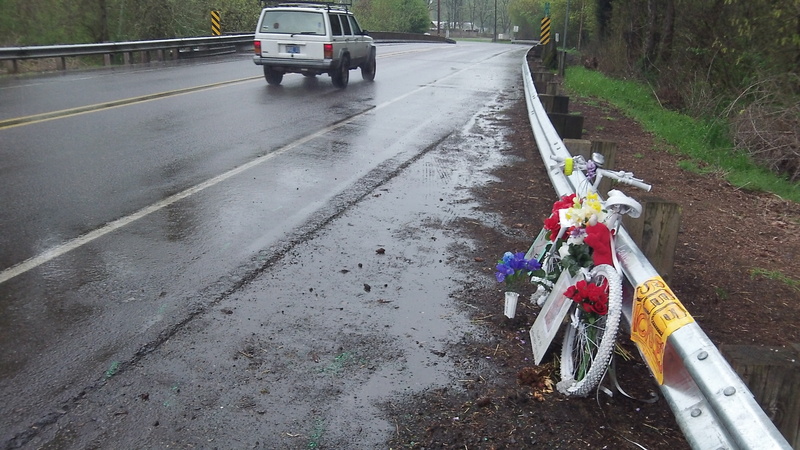 The roadside memorial looked like this on April 3. While the roadside memorial for Grant Keith Garner has grown, the next development in the death of the Albany bicyclist is up to the Linn County District Attorney’s Office. The 60-year-old husband, father of four and grandfather of two was killed on Feb. 17 when he was hit by an out-of-control car near the turn where Queen Avenue becomes Oakville Road. He was riding his bike home after work at about 5:45 p.m. when the car, coming the other way, failed to negotiate the curve and hit him after slamming into the guardrails on opposite sides of the road. In an email on March 30, Linn County Sheriff Bruce Riley said his department’s investigation of the crash was complete and all reports had been forwarded to the district attorney for a review “of any possible criminal charges.” I checked with George Eder, the senior deputy DA, and he told me Friday he had no other information to give me, declining to elaborate. Sheriff Riley told me his investigators had found no indication of impairment on the part of the driver, a 24-year-old woman from Corvallis, and excessive speed may have been a contributing factor in the fatal crash. 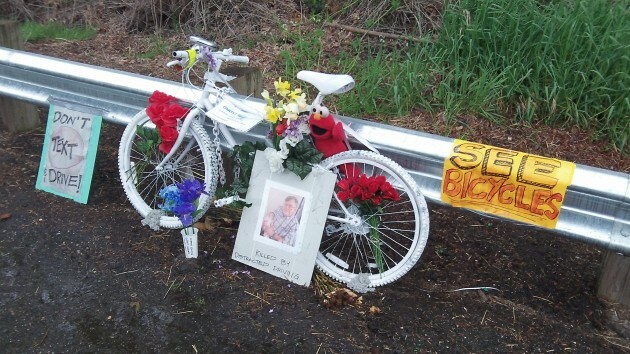 The roadside memorial makes references to texting and distracted driving. The sheriff told me the driver had a phone, like just about everyone else, but he could not say whether that had anything to do with the crash. Thanks for following up on this Hasso.